Why Are We Still Talking About a Skills Gap? The skills gap that has been in employment news since the mid-1990s continues to be an issue in some areas of the marketplace. The old truism of higher education providing a sufficient supply of qualified and skilled workers for meeting the demands of the job market is in jeopardy. Part of the problem is the rapidly changing job requirements, thanks to many different variables such as the global economy, the changing demographics of the workforce, and even Gordon Moore’s Law about how technology changes by leaps and bounds every 18 to 24 months or so. When we experience increases in microprocessor speed and lower power use–all that stuff that makes things faster while using less battery power means a revolutionizing of the “footprint” of new and current personal handheld (and other) devices and “tools” used in nearly every profession. It’s no surprise that the necessary job skills for these technological advances change in parallel, requiring individuals to make adjustments to their career strategy. The skills needed to keep pace with these technological advances quickly outpace what many colleges and universities can do to provide the necessary supply of qualified workers, much the way Austin traffic improvement projects are out of date by the time they are completed. In some cases, companies try to pick up the slack with internal training programs, internships, and apprenticeships. In others, community colleges offer quicker solutions for helping fill the skills gap by offering Associate degrees or courses that lead to certain types of licenses or certifications. While some fields profess a solid inventory of talent for white-collar office positions (usually with bachelor’s, masters or doctorates in tow), the struggling manufacturing sector increasingly may have to rely on trade schools for skilled workers to help add fuel to the nation’s economic engine. It was Alexander Hamilton who insisted that the future growth of the United States was tied to manufacturing. If Hamilton’s political (and personal) foe, Thomas Jefferson, had had his way, post-Revolutionary War America would have been an agrarian society (Jefferson once wrote that, “…the class of artificers [i.e., manufacturers] as the panders of vice and the instruments by which the liberties of a country are generally overturned.”). Perhaps we’d be having a different skills gap conversation today. Donn LeVie Jr. (The ONE Hire Authority) is a former hiring manager for Fortune 500 companies (Phillips Petroleum, Motorola, Intel Corporation, and others) and has worked in the federal government (NOAA) and in academia as an adjunct faculty lecturer in the Department of Natural Sciences and Mathematics for the University of Houston (Downtown Campus). Donn is the author of Strategic Career Engagement (September 2015), Runner-Up of the 2016 International Book Award for Business: Careers, Silver Medal Winner of the 2016 Global eBook Award, and the book that reset the rules for successful job and career strategies: Confessions of a Hiring Manager Rev. 2.0 (June 2012, Winner of the 2012 Global eBook Award and Winner of the 2012 International Book Award for Jobs/Careers). Donn leads career strategy seminars (for job seekers and for hiring managers wanting to know how to spot talent) at conferences, business/trade schools, colleges and universities, and U.S. military veterans organizations. He also offers a Career Engagement Evaluation subscription program to associations as a member benefit. Conference planners: Do you need an informative and entertaining keynote speaker or a professional development seminar for conference attendees? Donn’s 2017 engagement calendar is starting to fill up…contact him directly at donnlevie@austin.rr.com for more information or use the Contact page on this blog. 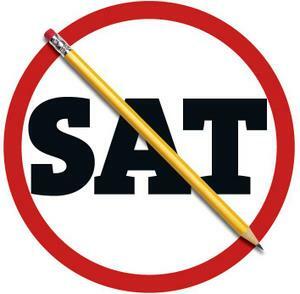 Dust off your SAT Scores–Companies Hiring Want Them! The Wall Street Journal recently reported that a number of companies, including elite banks and consulting firms are starting to ask job applicants for their SAT scores in addition to GPAs, extracurricular activities, and work experience. While the effort is aimed primarily at new college hires, some companies are asking for scores from candidates with 10 to 20 years experience under their belts. Research indicates that SAT is limited to predicting a student’s early college performance, while some critics claim that the decision to use SAT scores as a factor in hiring is misguided. How’s that for an endorsement for using SATs to screen job applicants! What about applicants who opted to attend a community college and didn’t require an SAT score for admission? Are they bypassed simply because they don’t have an SAT score? What about applicants with 15-20 years of valuable experience and expertise–how does that factor weigh against an SAT score in the hiring decision? While an SAT score may be good for determining a sense for general aptitude, it doesn’t do anything for evaluating ethics, emotional intelligence, executive leadership ability. As I write in my upcoming book, The Art of the Unfair Advantage: Make Yourself the Hiring Manager’s Candidate of Choice for ANY Job in ANY Economy, hiring managers continue to rely more on their intuition and the personal chemistry that often develops between them and a candidate during interviews that can sway a hiring decision. Companies need to remove administrators out of the hiring process and hiring decision. The one person best suited to know what expertise, experience, and skills are required for the position is the hiring manager. I’ve seen so many parallels between how people audition on American Idol for a chance to continue their quest toward fame and fortune for a trip to Hollywood, and how people approach interviewing for a job. On American Idol, the people who are really talented rise above those less gifted, but even among the very talented, there are significant differences. You can almost spot the “Top 10” contestants by how they handle the audition. The ones who find the most favor in the eyes of the judges understand what the judges are looking for. They are looking for not only “the look” and great vocal chops, but how a contestant gets lost in the moment of the audition. Or, better, yet: how that contestant is on his or her game when they deliver what the judges are looking for. Do the beggars and pleaders ever make it through to the Hollywood round? Rarely, if ever. If they do, they usually are gone by the end of Hollywood week. They just don’t understand the nature of the audition. They are controlled by the emotion of the moment—perhaps overwhelmed by the celebrity status of the judges—but then they rely on the beneficence of the judges, hoping they will respond to their tearful pleas to get them to the next round. They have allowed their immediate surroundings, the presence of the judges, or other external factors to exert more control of the audition instead of being in control of it themselves. Such behavior quickly and clearly labels these hopefuls as amateurs, and usually disqualifies them for further consideration in the competition. Your job interview is your audition. When your game is on, you focus on what the hiring manager wants and needs, and you own the audition—the interview—and the space in which you find yourself, rather than feel sucked into it like a semi‐helpless victim. I empathize with the American Idol judges when contestants subject them to the tearful drama for some special consideration after a poor audition because I have experienced it in the hiring process and with individuals who abuse the idea of networking. There’s nothing worse than getting an email or phone call from a former colleague—perhaps someone I hardly knew to say “hello” to in the halls—who wants to meet with me over lunch for undisclosed reasons. Being reluctant to offend, I used to agree with a modicum of enthusiasm because I knew what was coming: feckless schmoozing, or an outright plea for a job, or a good lead to one—or all three. So now, I don’t accept the invitation unless I first know why. If the person is favor shopping, it’s OK to tell me up front; but to disguise it will always result in losing my respect and assistance in the future. I call this approach “noxious networking” because it always leaves a bad smell behind. It’s a sign of desperation, whereby professional decorum takes flight before I’ve ordered an appetizer. Such people are interested only in what they can get out of the relationship, and not in how they may be able to help others. It’s a sure‐fire way to ruin a potentially great networking contact. Networking works best when it’s about building and maintaining mutual relationships—with a focus on the word, mutual. Those relationships are best nurtured well before you need to use them; otherwise, it is simply a selfish, self‐absorbed, one‐way strategy others will detect quickly, and you’ve likely just burned what could have been a key contact for your job or career search. Nurturing professional networks requires time and energy. You want to ensure you are creating mutual professional relationships with someone you feel you can help and who can help you. Sometimes, the perceived benefits of such contacts are greater than the actual ones. Back in the mid‐1990s, the division manager to whom I reported wanted to bring in several of his friends and former employees to interview for a vacant technical writer position that was available on my team. We reviewed the résumés of the three individuals who had extensive experience in the aerospace industry with writing and illustrating technical specifications. They were actually more engineering draftsmen than technical writers, but the boss insisted we interview them. Members of my team knew before the interviews that none of them qualified as microprocessor technical writers and editors, and we would very likely pass on recommending them for hire. All the candidates worked in DOS-based environments and didn’t have any experience with the Windows‐based applications we used. The interviews lasted about four hours and, as expected, we didn’t recommend any of the candidates for hire. The division manager thought he was helping his friends and former co‐ workers by scheduling interviews with my team, but the ultimate effect for these folks was just another disappointment that was becoming evident in their faces as the interviews wore on. My team felt uncomfortable going through the interview motions knowing we wouldn’t be making job offers, and I disliked being put in that position with people’s livelihood. Just as it’s wrong to pass no-talents through to the next level in American Idol, so is granting interviews to candidates you have no intention of hiring. Are You a Job Applicant or a Job Supplicant? The overt nature of begging and pleading for a job smacks of misdirected energies as well. The very term “applicant” has synonyms such as “aspirant,” “contender,” and “claimant” that imply some degree of intent, concerted effort, or purpose. People apply for vacant positions, or they fill out job applications. The individual who must resort to pleading is known as a “supplicant,” which has as synonyms, “requester” and “petitioner.” People who resort to supplication when seeking a job either are not considered seriously for the position or may have to work harder to earn the respect of co-workers, if they are hired. Short‐sightedness is often the reason American Idol hopefuls fail in their auditions. Many of the finalists put “being the next American Idol” ahead of the love of music and making music for the enjoyment of others as so many first-round wanna-be’s confidently proclaim to the viewing audience and the judges. Sometimes in the hiring process, short‐sightedness comes across in candidates embracing the “I need a job” mindset rather than seeing themselves as the hiring manager’s problem solver. It’s a matter of focus that makes all the difference in the approach to an audition/job interview. As with American Idol finalists, the person who outperforms the competition, who brings to the open position the skills, knowledge, and expertise the hiring manager needs for the position—and promotes that expertise throughout the hiring process—is ultimately the person who carries the day.